Our 360° Adjustable Vortex fan sprayers are available with 1/4" barb or 10-32 threads.Vortex Fan sprayers are designed to produce a gentle fan flow pattern with adjustable flow rated from 0 to 19.5 GPH and a diameter range from 0" to 132” at 40 PSI. Each fan sprayer has an adjustable cap that allows for simultaneous control of the flow rate and the wetting area. 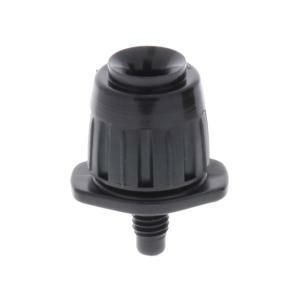 These drippers are very useful in residential gardens for an individual plant or group of plants, or for ground covers, shrubs, and trees. 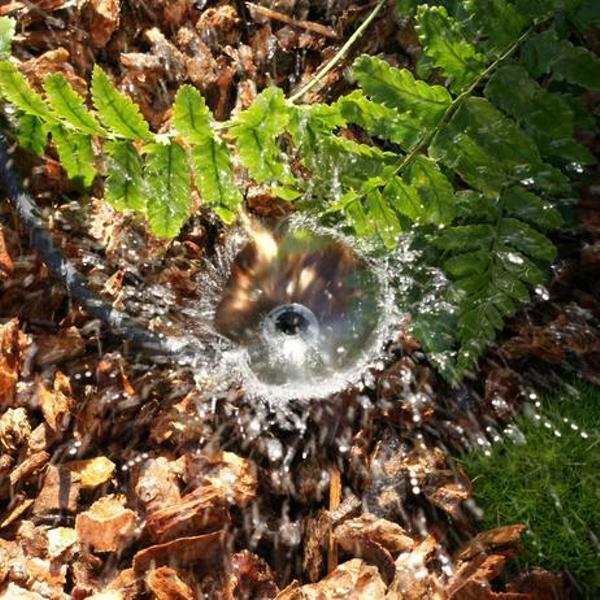 The adjustable fan sprayer offers a convenient way to water areas where conventional sprinkler systems are not suitable. 2 5.0 GPH 6" 6.0 GPH 12" 7.5 GPH 30"
4 7.0 GPH 18" 9.0 GPH 30" 10.0 GPH 66"
6 9.0 GPH 36" 11.5 GPH 48" 13.5 GPH 96"
8 10.5 GPH 54" 13.5 GPH 78" 16.0 GPH 114"
10 12.0 GPH 72" 15.0 GPH 96" 18.0 GPH 126"
12 13.0 GPH 84" 16.5 GPH 108" 19.5 GPH 132"
Adjustable drippers allow the option of changing the flow rate of water to each individual plant. It is as simple as twisting the cap on the dripper toward the "+" or the "-" signs to increase or decrease the flow rate. Adjustable drippers are ideal for balancing systems that have a few water-hungry plants on the same line as plants that require less water. Note: Adjustable drippers use a lot of water. It is very easy to overtax a drip system when using many adjustable drippers that are operating fully open.